Designed to offer incredible grip, both while accelerating and in corners, MICHELIN Power Cup allows for even faster lap times than our previous competition tyre, MICHELIN Power One. The front tyre provides amazing handling and stability specifically under braking. 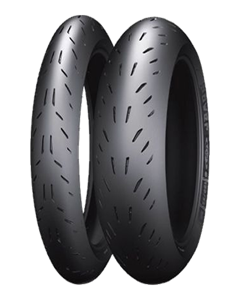 The rear tyre gives superior grip in corners without compromising longevity.